Posted on October 20, 2017 at 2:17 am. 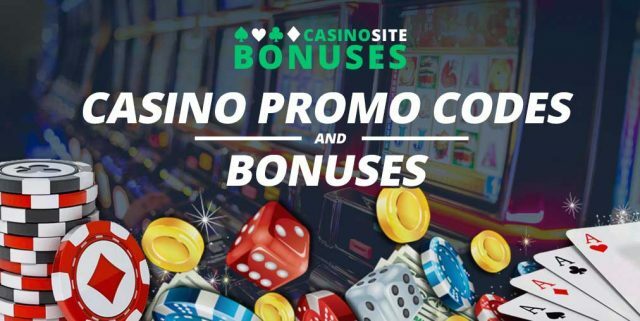 Wind down this weekend and start your next week off right with the latest casino bonuses and promos at the best online casinos from around the world. We have compiled the best offers of the week so you can get the most out of playing online – all from the comfort of your own home. There’s still time to earn free spins at Mucho Vegas on the Game of the Week before it expires. Running from Monday to Friday, the popular online casino selects a game from its catalogue and players can earn free spins for the weekend by playing it. This week, GameArt’s Queen of the Seas slots is the Game of the Week – and you have up until 11:59 pm on Friday night before the offer expires. All you have to do is deposit at least €/$100 to get 20 free spins, credited to your account on Saturday morning. Want to know more about the Mucho Vegas promotion – head here. Unfortunately, players from the US, UK, US Minor Outlying Islands, US Virgin Islands, Canada, France, Italy, Slovenia, Spain, Switzerland, Netherlands, Malta, Panama, Costa Rica, and Curacao aren’t eligible to open an account with Mucho Vegas. It’s almost Halloween and Slots Million is already putting up the decorations with a 50 extra spins bonus on Net Entertainment’s vampire themed slot game, Blood Suckers II. All you have to do is make a deposit of at least €/$20 up until October 30 to receive 50 extra spins on Blood Suckers II. Enter the promo code BLOOD50 when making the online casino deposit. Since NetEnt is only available in certain markets, only players from the UK, Finland, Sweden, Norway, Germany, Iceland, Ireland, Luxembourg, Netherlands, New Zealand, South Africa, Switzerland, and Austria can claim the offer. Want to know more? The guys over at RealMoneyCasinoSite.com have wrapped up the terms of the Slots Million Halloween promo nicely. If you’re looking for a way to make online casino gaming even more exciting, head over to Rizk Casino and enter its Races. The online casino site has updated its Rizk Races to run every few minutes, hours and days, instead of every week. Each race requires a player to play a certain game, such as an online casino slot machine, a table game, or live dealer blackjack. Every win on the game earns the player 10 points, while three consecutive wins earns the player 30 points. Losing three times in a row is even better as players will earn 40 points, and a win of 10x the bet will score the player 300 points. The player with the most points at the end of the race wins a prize – you can opt for the Main Races for huge cash prizes or the Race All Day races for extra spins, bonus money and other prizes. Learn more about the Rizk Races here. Looking for a unique way to claim online casino bonuses? Boombet offers a store where you can purchase spins on certain pokies/slots for a discounted rate. For example, you can get 105 spins on the slot After Night Falls for $25 instead of $63, with a spin value of $0.60. The online casino also gives players the chance to claim unique bonuses, such as 13 extra spins on Madder Scientist by BetSoft, as mentioned here, though the bonuses change every day. If you’re a huge movie buff, then you already know Net Entertainment is releasing the Planet of the Apes online slot on Monday. To celebrate, Guts online casino is giving its registered players the chance to play the game with added spins when it is officially launched. The winnings from the added spins need to be wagered 35 times – you can find out more by reading about the Guts’ Planet of the Apes promotion here. While it is only the weekend, it’s always good to be prepared for the new working week. On Monday, House of Jack is giving away up to 100 free spins on The Wild Chase slot, and all you have to do to claim them is make an online casino deposit and enter a bonus code. The best part is the winnings from the free spins are wager free, but they’re capped at a $200 withdrawal limit. Find out more about the Rock On & Spin promo at House of Jack here. Unfortunately, players from the UK, US, Belgium, Denmark, Cyprus, France (France Metropolitan, French Guiana, French Polynesia, French South Territories), Greece, Italy (Vatican City), Spain, South Africa, Romania, Czech Republic, Ireland, Philippines and Hungary cannot open an account with House of Jack.